The Dingle International Film Festival kicks off this weekend and will play host to a line-up that includes international features, national features, panel discussions and several short film programmes. Ahead of the annual event, which takes place this week, 21st – 24th March 2019, IFTN takes a look at some of the festival highlights with some great screenings set to feature. Opening the festival on Thursday 21st March is ‘Wild Rose’ starring Irish rising star, Jessie Buckley. One of the BAFTA Rising Star Nominees for 2019, Jessie gives yet another outstanding performance as Rose-Lynn the mother of 2 who wants to get out of Glasgow and become a Country singer in Nashville. ‘Wild Rose’ is directed by Tom Harper and co-stars Julie Walters and Sophie Okonedo. Niall McCann’s new experimental feature documentary ‘The Science of Ghosts’ will feature at St. James’ Church on Friday, March 22nd and will be followed by a live performance from musician Adrian Crowley. Directed by Niall McCann (‘Art Will Save the World’, ‘Lost In France’) who further explores the playful territory he mapped out in his first two films, pushing the form of not just what a music film is supposed to be and could be into new places but what a “documentary” is and could be. Another film set to feature is Ian Fitzgibbon’s Irish dark comedy ‘Dark Lies the Island’, which will screen at the 2:30pm on Saturday, March 23rd. The film features an impressive cast with Pat Shortt, Charlie Murphy, Peter Coonan, Moe Dunford and Tommy Tiernan just some of the Irish actors involved in the project. ‘Dark Lies the Island’is a dark comic melodrama about a family spinning out of control in a small Irish town. In this rural gothic western, two brothers try to crawl out from the shadow of their domineering father while his young wife is trapped in a whirlpool of sexual jealousy. As the story unfolds, over the course of a week, a long-standing family feud comes to a head, forcing all participants to face up to the truth. film Billy Elliot, 15-year-old Frances has to fight for the right to fight back. Raised in roadside camps in rural Ireland, Frances wants to champion her people inside the boxing ring and out, like her idol Muhammad Ali. The film is led by Hazel Doupe who has been described as “A Standout” by Screen Daily, with Dara Devaney, Johnny Collins, Hilda Fay and Lalor Roddy rounding out the cast. A special Irish Documentary Panel discussion titled – ‘And May These Characters Remain’ will take place at McCarthy’s Bar on Saturday, March 23rd. The discussion will be chaired by Aodh Ó Coileáin (NUIG Lecturer), writer/director Niall McCann (‘The Science of Ghosts’), documentary filmmaker Jill Beardsworth (‘When All Is Ruin Once Again’), producer Treasa O’Brien (‘Town of Strangers’), writer/producer Cathal Ó Cuaig (Slán leis an gCeol’), and writer/director Brian Lally (‘The Curious Works of Roger Doyle’). Other key titles set to feature as part of the Dingle IFF Documentary line-up on Sunday, March 24th are Cathal Ó Cuaig’s ‘Slán leis an gCeol – Farewell to Music’ and Treasa O’Brien’s ‘Town of Strangers’. The Físín pitching competition will take place following the screening of Ó Cuaig’s feature documentary at St. James’ Church, a prize Cathal received back in 2010. Dingle International Film Festival will host 4 Shorts Programmes, which will run all day on Friday. Early Creatives Shorts, Documentary Shorts, A Journey of Shorts, and the 5 Out of 5 Shorts as well as the Screen Ireland Shorts, which includes ‘Lowtide’, ‘Psychic’, ‘The Trap’, ‘The Vasectomy Doctor’, ‘Bending Glass’, ‘Q4L (Quest for Love)’ and ‘Honest’. Each of these programmes will take place in the iconic St James’ church; along with Dingle IFF’s Kingdom Shorts Programme on Sunday. There is also a new element to the Shorts programme with the ‘Adults Only Shorts 1’ and ‘Adults Only Shorts 2’ running by night in the new Festival Hub @ McCarthys Bar on Goats Street. 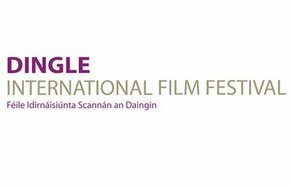 Click here for more information about the Dingle International Film Festival. The festival runs from Thursday 21st to Sunday 24th March.